Welcome to Kazakhstan's leading food industry exhibition. World Food Kazakhstan is a wide-ranging exhibition, showcasing the very best products on Kazakhstan's food and drink market. The event has become a major meeting place for the industry, welcoming thousands of visitors from Kazakhstan and the wider Central Asian region. 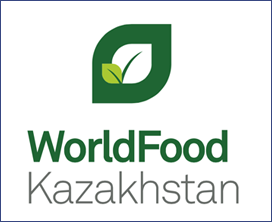 World Food Kazakhstan has proved an effective forum for promoting new products, discovering more about the local market and meeting professionals within the industry, including producers, distributors, wholesalers, retailers and restaurateurs..